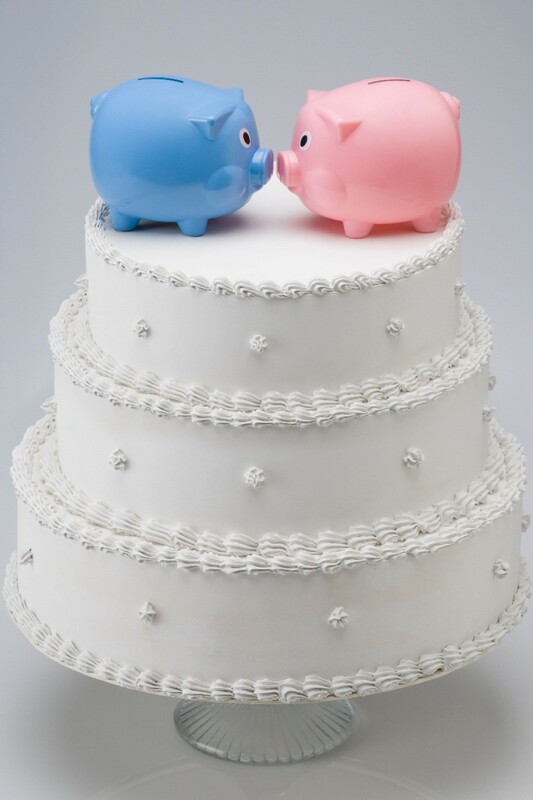 There are many ways you can have a lovely memorable wedding on a budget. Consider all aspects of the event from clothing to venue and food to find money saving ideas. 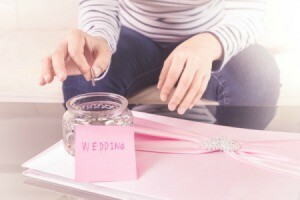 This is a guide about wedding ideas on a budget. Do you have a family member whose dress you could wear for free? Check thrift stores for dresses for yourself and your bridal party. On a recent trip to Goodwill, I saw a wedding dress and three matching bridesmaid dresses. Consider a nice but not formal dress for your wedding party or yourself. Some bridal shops have new dresses from previous seasons at a huge discount. Never buy your accessories at a bridal shop unless they are extremely discounted. You can end up spending as much on shoes, jewelry, sashes, and such as on the dress! Opt for the groom and groomsmen wearing suits they already own or dress pants and shirts with suspenders and bow ties in your wedding color. This is a really fun look! Do you know someone with a large home you could use? Local community center? I know this sounds odd but local Library? Ours is a beautiful old building with a meeting room that a friend used for a wedding of about 75. Parking was good and the old architecture made for some great pics. Your church would be an obvious option as well. Less is more. There are any ideas out there on making your own bouquet. Single large flowers for bride's maids are cool and, with a 40% off coupon, can be had for little at Hobby Lobby. Also great for other wedding supplies. Check out ferns and other potted plants at a nursery/Lowes/Home Depot that can be placed about for the wedding and then used in your new home. Good quality plain bands are wonderful. A word of warning: if either of you work where your hands are dirty and under a lot of stress, opt for titanium. This is where it can get expensive. Opt for no alcohol, definitely no open bar as that will destroy your budget. Check with a local winery if you would like some for a special toast. You will get a much better price. A "candy bar" is a cheap and easy way to have some sweets. Borrow or thrift shop some crystal or "looks like crystal" dishes and have your fave candies and treats self serve. It would be pretty easy to have friends or family make some finger foods: tuna salad or pimento cheese or ham/turkey sandwiches cut into fourths, chips and dips, cheese and cracker tray, veggies and dip. Just dress up the presentation with paper doilies and inexpensive or borrowed serving pieces. Dollar stores are great places to find these. My friend used single candles in her color on small mirrors alternated with single flowers in thrift store bud vases down rectangle tables. She bought twin sheets as table clothes which she places over Dollar Tree plastic ones she found in a color close to her wedding color. The color showing through the white sheet made it almost a perfect match. The bridal table had a mirrored tray from her mom's vanity with candles of different heights on it and a large doily held her bouquet to keep. A smaller version was used for the toss. At another wedding recently attended, country themed-mason jars with floating tea lights and some with small bouquets were used. Consider a small tiered cake and a larger sheet cake decorated similarly, much less expensive. You could even do the sheet cake yourself if you really wanted to cut expenses. Have a table featuring wedding pictures of your parents, grandparents and siblings in nice frames with your guest register. Favorite pictures of the bride and groom as children on a table. This was really cute. Pictures as babies, toddlers, grade school age, high school, coming toward each other with the engagement picture in the middle. Hope you can picture this in your mind. A special memento from each of the parents early married life featured. Ours were a crystal vase and a frame his parents received and a small side table my parents had received which they gifted us on our wedding day. We had a small table with a candle on it during our ceremony and it was moved to the reception area. After the wedding party except myself walked in, my brother and my mother lit it in honor of my father who had passed away. My paternal grandparents were also passed so they did this for me and it took my breath away when I walked in. I was given away by my step-father who told me what it meant as I walked down the aisle. The side table now holds the frame with our wedding pic, candle, and vase in our home. Hope some of these help. God Bless and Congrats! 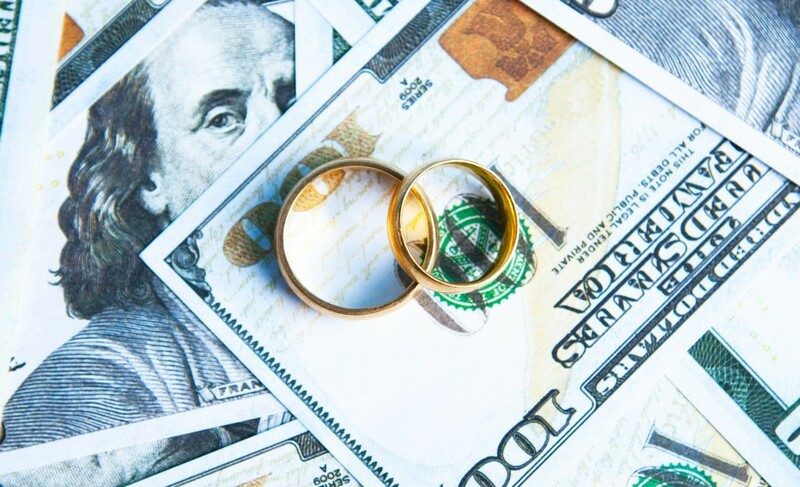 Weddings take a lot of planning and tend to come with a big price tag for the new couple. Discuss what you and your future spouse consider to be essential to a "perfect" wedding and start from there. This guide contains advice for planning a wedding on a budget.